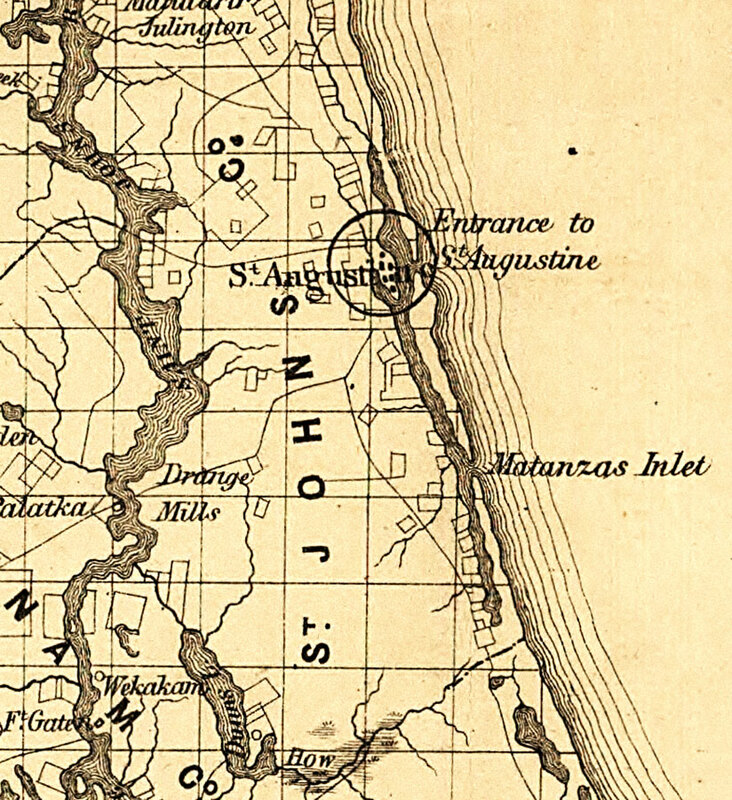 Description: Railroad map of Saint Johns County, Florida showing river drainage, cities and towns, and roads in 1859. Township grids based on the Tallahassee basis parallel and the Tallahassee prime meridian shows the extent of land survey in Florida. The map scale is 1:1,140,480.